The following is a guide only and should not be relied upon as legal advice. Each person’s circumstances must be taken into account. The following is only intended to assist on a general basis and legal advice should be sought at the earliest convenient time. How do you charge legal fees? Legal fees are charged on an hourly basis. JMW Legal charges for each 6 minutes or part thereof of work undertaken on your behalf. All work undertaken, including preparing court documents, telephone calls, emails, letters and conferences are charged. A charge is also made for “sundries” which are office costs for things such as travelling, photocopying, telephone calls, electricity and stationery. All invoices rendered on matters set out what work was undertaken on your behalf. When do I pay my legal fees? At the commencement of your matter you will be provided with a Costs Agreement or an Appointment to Act. That sets out how JMW Legal will charge legal fees. By signing the Costs Agreement or Appointment to Act, you agree to pay legal fees within 14 days of an invoice being rendered. Invoices are rendered at the middle of each month or if your legal fees exceed $2000. If you require longer to pay, then you should contact JMW Legal immediately to work out a payment plan. How can I pay my legal fees? You can pay your legal fees by cash, money order, cheque or credit card (Visa or MasterCard). Payment can be over the telephone, in person or by post. You choose the most convenient method. If you are required to pay funds into the trust account on account of future legal fees and outlays, you cannot pay by credit card. Credit card can only be used when you are paying an invoice. Can I ask for an update of my matter? You can request an update at any time. 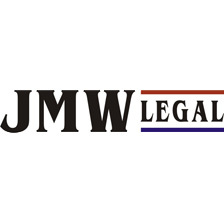 JMW Legal will not charge you for an update of legal fees (how much you have incurred, what amount is left to pay etc) but might charge, depending upon the circumstances, for a report as to how your matter is progressing. However, if you review your monthly invoice, it sets out what work has been undertaken on your behalf and often answers your queries. I am not sure if I have a legal matter. If you are not sure if you have a claim, then take advantage of the hour consultation with JMW Legal for $300. The fee of $300 is at a reduced hourly rate. During the hour consultation, you will be provided with a brief assessment of your matter, the likely outcomes and the likely costs. This consultation is particularly useful for people that have recently separated and are not sure what they should do, what documents they should retain and what share of assets they are entitled to claim. The fee of $300 is payable at the conclusion of the appointment. If you decide to proceed with a matter then legal fees will be charged on an hourly basis (as set out in question 1 above). If I commence court action, does the other side have to pay all of my costs? Briefly, court costs are claimable against the “losing” party, These costs are assessed in accordance with the court scale on a standard costs basis. This basis allows the “winning” party to claim reasonable costs incurred in progressing the court matter. Therefore, not all costs are claimable. Sometimes, costs are awarded in one party’s favour on an indemnity basis which means all costs of the matter are payable by the other side. This often happens if an offer to settle made before a court’s decision is more favourable than the court’s judgment. Family law matters rarely have costs orders made as each party bears their own costs. It is not unusual for a successful party to be significantly out of pocket for legal fees. That is one of the reasons why JMW Legal provides itemised tax invoices each month so that clients can see exactly what the action is costing them. When can I make an application to the court for a property settlement and/or spousal maintenance? An application must be made within 2 years of the de facto relationship breaking down. There are certain circumstances when the court will grant leave for an application to be made outside of the 2 years. If you are married, your application must be made within 12 months for your divorce. Do I have to go to court? No, and in fact, most people prefer not to. Court proceedings are costly and time consuming. If you and your former partner can agree on a fair and equitable division of property and/or provision for spousal maintenance then a Consent Order can be prepared to evidence the agreement but no court appearance is necessary. At JMW Legal Consent Orders are recommended in most circumstances as a less stressful, less costly and less time consuming method of resolving property settlements and allowing both parties to move on. Do I have to document my agreement with my former partner? Whether you were married or in a de facto relationship, It is best that you do as it can stop a claim in the future and if there is property to be transferred (eg from joint names to one party) stamp duty is waived on the transfer where it is pursuant to an agreement for a de facto relationship of 2 years or more or for a marriage of any length. What is the difference between a divorce and property settlement? A divorce is the dissolution of the marriage where the property settlement is the division of assets, liabilities and financial resources. A divorce cannot occur until you have been separated for 12 months (to be “separated” can be complex, but essentially, one spouse needs to have communicated to the other that the marriage is over and simply no longer having sexual relations is not evidence of a separation). A property settlement can occur anytime after separation and within 12 months after a divorce. Do I have to resolve my financial dispute and parenting dispute at the same time? No you don’t but many people prefer to do so so that the stress of the matters are at an end sooner. If you and your former partner agree on the children’s care arrangements and the time that they spend with each parent, it is not necessary to document it in a consent order, but many parents prefer to do so for clarity. threatening to stop providing care for you if you don’t do what you are told. doing similar things which upset you and make you fear for your safety. I think I am a victim of domestic violence. Seek help from the Police if you believe you are in imminent danger. The police can obtain a protection order on your behalf. You can use a solicitor and JMW Legal can prepare the necessary court application and attend at the court hearing with you. You can seek a temporary protection order and a permanent protection order (up to 5 years – effective 30 May 2017). Is it necessary to have counselling? Before you can proceed with an application before the Federal Circuit Court or Family Court of Australia for parenting matters, you must attend upon a certified counsellor and attempt to resolve your parenting dispute with your former partner. If you are unable to resolve the matter, the counsellor will give you a certificate that must be filed with the court. If you are able to resolve the matter, then a parenting plan is prepared by the counsellor. The parenting plan is not a court order and neither parent is obliged to adhere to the plan. It is a guide only. Therefore, if you do reach agreement, you should obtain legal advice about turning the parenting plan into a consent order. JMW Legal can assist you with the preparation of the consent order. It is not a requirement, at this stage, for parties to have counselling before proceeding before the court for a financial (property settlement) order but it is expected that the courts will adopted a similar counselling regime to that for parenting matters in the near future. Ground floor, 23 Sanders Street, Upper Mount Gravatt (behind Coles Supermarket on Logan Road) Phone: (07) 3423 6967 Fax: (07) 3343 5531 http://www.familyrelationships.gov.au/mtgravattfrc. What is the process to recover a debt? Briefly, a letter of demand is sent setting out the amount of debt, how it was incurred and demanding paying by a specific date. If no response is received to the letter of demand, then court proceedings are commenced by way of Claim and Statement of Claim. The court documents are served on the debtor who then has 28 days in which to pay or file a Notice of Intention to Defend and Defence and/or Counterclaim setting out why the debt is not payable. If the debt is not paid within 28 days and no Defence is filed, then you are at liberty to file for Default Judgment. Once Judgment is entered, you can apply to wind up the debtor company, bankrupt the individual bankrupt, seize assets (eg the bailiff will sell at auction any real estate or unencumbered motor vehicles) or debts owed by a third party to the debtor, and/or examine the debtor as to his/her/its assets, liabilities, income and expenses. If a Defence is filed, then the court process is that each party then discloses by way of List of Documents all relevant documents supporting their position and then the Registrar of the Magistrates Court will hold a Conference to give the parties an opportunity to settle the matter before allocating a hearing date. If the matter is before the District or Supreme Court, no conference is held with a Registrar but the parties can hold their own mediation in order to save costs and time by settling the matter or narrowing down the issues for hearing by the court. What court do I sue in? The amount of the debt governs where you commence your action. If the debt is less than $50 000, then the action is before the Magistrates Court. If the debt is more than $50 000 but less than $250 000, then the action is before the District Court. If the debt is more than $250 000, then the action is before the Supreme Court. What are the time limits? You can recover a debt up to 6 years after the debt arose. What evidence do I need? You need a paper trail. Verbal evidence is not sufficient as memories are hazy and credibility is in issue. You need to be able to support the work undertaken, eg a purchase order from the debtor, and your invoice. Any correspondence with the debtor chasing up the debt is also important. The more paperwork you have, the better. Can I recover my costs of the court action? Briefly, court costs are claimable against the “losing” party, These costs are assessed in accordance with the court scale on a standard costs basis. This basis allows the “winning” party to claim reasonable costs incurred in progressing the court matter. Therefore, not all costs are claimable. Sometimes, costs are awarded in one party’s favour on an indemnity basis which means all costs of the matter are payable by the other side. This often happens if an offer to settle made before a court’s decision is more favourable than the court’s judgment. It is not unusual for a successful party to be significantly out of pocket for legal fees. That is one of the reasons why JMW Legal provides itemised tax invoices each month so that clients can see exactly what the action is costing them. What will it cost me to sue for an unpaid debt? It is difficult to estimate your likely fees. It depends upon the attitude taken by the debtor. It is recommended that you closely monitor your fees to ensure that you are not “throwing good money after bad”. 1. I have bought an item that does not work. The Queensland government agency, Department of Fair Trading, provides extensively for consumer rights. If you have purchased something that does not work like it should or is not as it was described, then have regard to the Department’s website and see if the Department can assist you. Many retailers are aware of their obligations regarding refunds and returns. Essentially, you cannot return an item after purchase because you changed your mind. The item can be returned if it is faulty. If you are having problems with a car you have purchased, ascertain if there is a warranty. The Department of Fair Trading has information concerning the insurance in place for claims that are made for faulty vehicles or where the seller is no longer in business. The Department will assist you with a claim free of charge. The website has the forms you need to complete to make a claim. 1. My parent has died and I have not been left anything under the Will. Family Maintenance Provision Applications are heard by the Supreme Court. The court needs to decide whether adequate provision has or has not been made for the proper support of a person (usually a spouse, child or dependant). The financial position of the applicant (the forgotten beneficiary), the value of the deceased estate, the relationship between the applicant and the deceased and the relationship between the deceased and other beneficiaries or properly entitled persons are matters considered by the court in reaching its decision. Adult children can bring a claim for provision simply because of a moral obligation a parent to support a child regardless of age. The court also needs to determine the extent to which provision ought to be made out of the estate. There have been circumstances in which a court has refused to order provision to a forgotten beneficiary or inadequately provided for beneficiary even though the applicant had been found to have been left without adequate provision. An application for family provision must be made within nine months of the death of the deceased. On 30 January 2012, the PPSA commenced. The legislation governs the way personal property is dealt with and the way in which security over personal property can be protected. The scope of what constitutes a security interest is wide. If you do not protect your existing or future rights in personal property you risk losing your security interest in that property, for example to another creditor or in the event of liquidation, bankruptcy or voluntary administration of your debtor. You can lose title to your property if you leave it in the possession of someone else for longer than 90 days. The PPSR (the register) will record security interests. You can search the register before you purchase personal property worth more than $5000. You can register your interest in personal property in order to obtain priority by preventing a third party from taking ownership of your goods.